Defined benefit schemes by employers are offering large pension values to members up 10% since the Brexit vote to £232,000 for transferring out to private plans driven by exceptionally low gilt yields. Since the pension freedoms introduced by the government from April 2015, people aged 55 plus have been allowed to transfer their defined benefit schemes to private plans or even to cash. A defined benefit scheme or final salary pension is based on the number of years you work offering a fixed income often indexed against inflation and rising in the future. Since the Brexit vote last year the 15-year gilt yields reduced to an all time low in August 2016. This resulted in schemes having to revalue the funds needed to provide future member income, increasing scheme deficits. According to accountants PwC at the end of October the deficit of about 5,800 UK defined benefit schemes was £410 billion and many are willing to offer inflated valuations to members to encourage them to leave which helps to reduce the deficits. 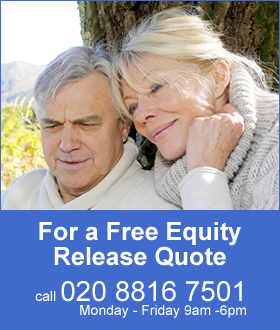 The Xafinity Transfer Value Index tracks the transfer value that would be provided by an example defined benefit (DB) scheme to a member aged 64 who is currently entitled to a pension of £10,000 each year starting at age 65 (increasing each year in line with inflation). This is currently at £232,000, a rise of 10% since the Brexit vote when the index was at £210,000. The index has been at £226,000 or above since August 2016 when the 15-year gilt yields reached an all time low of 0.90%, it now stands at 1.60%. The index increased from £210,000 in June 2016 reaching a high of £244,000 in October 2016 and has been volatile since then. There was a 4% fall in the index from £240,000 in the first week of September to £230,000 by the end of the month due to a rise in gilt yields. Sankar Mahalingham, Head of DB Growth, Xafinity said, transfer values remained very stable during November 2017, continuing the trend we have seen since mid-September 2017. 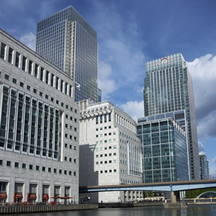 The rise in the Bank of England Official Bank Rate in early November, which was the first for over 10 years, was widely anticipated by markets and did not result in a reduction in transfer values in November. Another rise is anticipated by the end of 2018, however, another delay in a rise would mean an increase in transfer values, says Mr Mahalingham. The main driver of DB scheme higher transfer values is falling gilt yields and lower scheme values follow rising yields. Over the past ten years the 15-year gilt yields chart shows yields have reduced from 5.11% in June 2008 to an all time low of 0.90% on 11 August 2016. The current level is 1.60% and there was a slight rise in anticipation of the Bank of England rise in interest rates to 0.50%. Schemes calculate values in different ways which can take account of funding levels and deficits so may produce very different values than shown in the Xafinity Transfer Value Index. It is likely that the demand for defined benefit transfers will grow as values are expected to remain high for another year at least and new legislation will require schemes to communicate the value of a members benefits each year starting from January 2019.